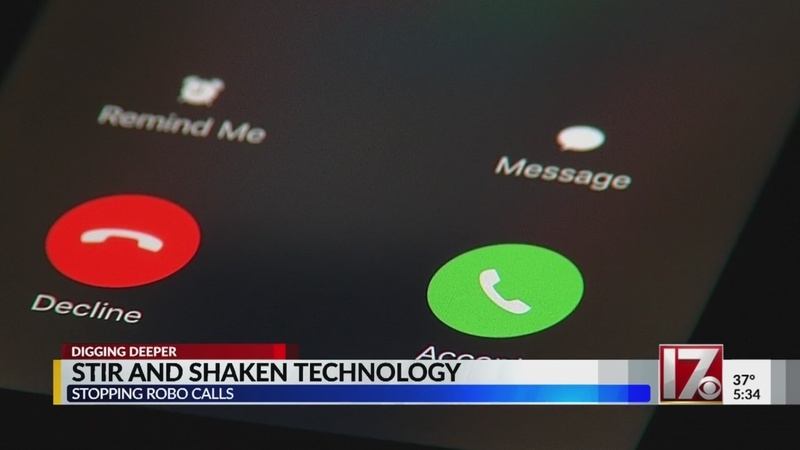 RALEIGH, N.C. (WNCN) There’s new hope in this new year that fewer scam or robo-calls will bother people thanks to new technology and blocking efforts by service providers who are being pushed by the FCC to make changes. In March, Verizon says it’ll be providing its customers with a free app that will help filter out scam and robo-calls. It will join T-Mobile and AT&T who also offer various forms of free filters aimed at reducing the annoying calls. Robo-calls from telemarketers and scam calls are inundating mobile phones. Many of the scam calls originate from overseas using technology that clones or spoofs legit numbers to make it look like the call is coming from someone you know. It’s getting worse, according to a company that offers data solutions to mobile carriers. First Orion says it’s anticipating in 2019 at least half of all calls made to cell phones will be fraudulent. “What we tell people is if you don’t recognize the phone number, don’t answer it,” says Gavin Macomber who is a Senior vice president of First Orion. But there is technology being brought on line that may start eliminating scam or robo-calls right from the source of that call. Last week T-Mobile began offering “Caller Verified” service. It’s using a new technology nicknamed STIR and SHAKEN which the FCC wants all carriers to adopt. STIR stands for Secure Telephony Identity Revisited and SHAKEN is an acronym for Secure Handling of Asserted information using toKENs. It’s sort of like a digital fingerprint for phone calls. When a person makes a call, the caller’s service provider checks the source of the call and the number with an authentication service to make sure it’s legit. It then sends the call to your service provider using a special authentication code. Before the call is passed on to you, your service provider does a double check by sending the authentication code to another verification service. That verification service checks the number against a database called a certificate repository. If it all checks out, and isn’t a robo-call or a cloned number, the call is then passed to your phone. This all happens in a matter of seconds because it’s all done electronically. The STIR and SHAKEN technology will work best when all carriers adopt it. Otherwise, a scam or robo-call from a non-participating carrier can still get through to your phone even if your provider is using that tech. Right now, only calls to and from T-Mobile phones are screened with this technology. Other carriers have said they’ll get on board with STIR and SHAKEN soon — and the FCC is pushing them to do it as quickly as possible.